You cannot miss trendy stud earrings in your jewelry collection. That is basically doing your-stylish-self fashion injustice. Even though the statement earring is having a moment right now, stud earrings can be just as fierce. These are the stud earrings that you need in your collection, right now. And because we know you want to buy fashion earrings, we have put together a must-know list of top trendy stud earrings just for you. 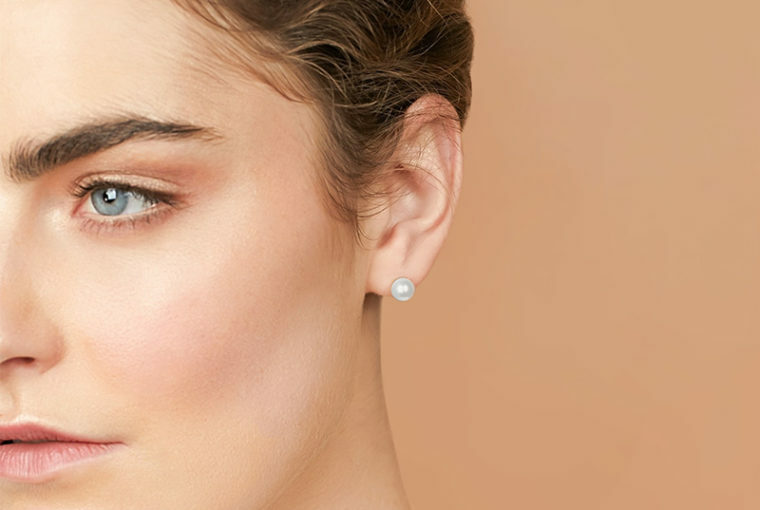 Stay on top of your earring game with these earring trends for 2019. The astrological predictions for 2019 are intense and jewelry designers are feeling its energy. This year, expect to see bewitching stars, suns and moons return to realm of trending jewelry. You will definitely spot many dangling gold earrings on the runways but be a free sprit. Go the opposite way with spectacular studs instead. Celestial studs are more subtle and refined. By going for starry studs you are showing everyone that you do not fall for just any fashion trend. No, you know how to translate the bold runway statement into an everyday wow moment that is out of this world. Winter is almost over (hopefully) and we are looking forward to hot beach days in the summer. Life is better in a bikini is definitely the motto of the sea shell jewelry trend. And if you can’t go to the beach just yet, have your day feel like a breeze with sea shell trendy stud earrings. Sea shell earrings are colorful and delicate. Go shopping for studs that combine the shells with yellow or rose gold to add class. You don’t want the studs to look like the makings of a little girl. Sea shells earrings should be glam and magical. You want to feel like an ocean princess whenever you wear these trendy stud earrings. Nothing says spring like flowers. This is probably also why flowers are a recurring trend that we are always happy to see. Flower jewelry is back in a very ladylike upgrade. You may have had a favorite pair of flower studs as a kid. Now is your chance to do a nostalgic jewelry throwback. The modern version of flower jewelry is a sleek and simple design in a bold color. Enamel flower studs or flower studs featuring gemstones is right on trend. 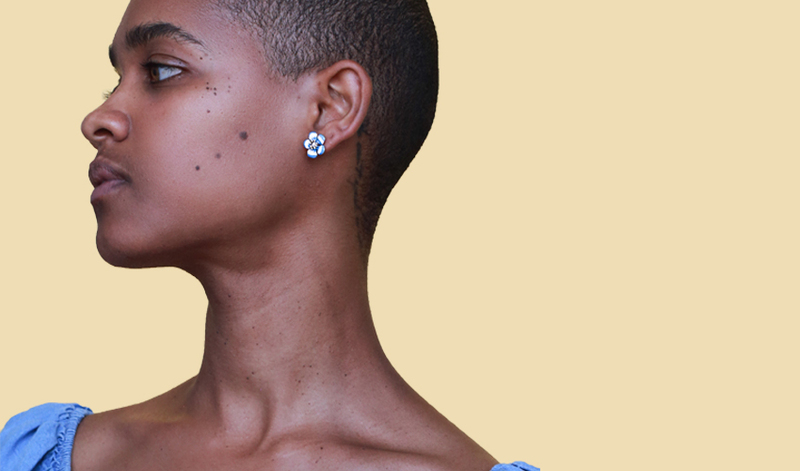 Make flower studs your 13-going-on-30 moment. Speaking of the iconic Jennifer Garner movie, it seems as though the 80s never left. Big bold and colorful earrings popped back onto the red carpets last winter and it seems they are not going away. Need a reminder of why you loved the 80s? Think in neon colors like Miami pink, highlighter yellow, turquoise and violet. Popular 80s shapes for earrings are Pegasus wings and asymmetrical geometric shapes like circles and diamonds. Don’t forget to color block! Whoever said that stud earrings cannot be a piece of statement jewelry? Last year, we were green with envy seeing the British princesses get married in their tiaras. Now, we are letting ourselves feel royal too by wearing colorful gemstones. From head to toe, if all possible. The point of these trendy stud earrings is to look like a million bucks. Bright gemstone studs are a glam addition to any look. Spice up your black and gray work outfit with a pop of classy colors. Or rake in those likes with an Insta-worthy photo showing off your jewels. Don’t be scared of mixing together different gemstones. There is no such thing as clashing colors in gemstones. Enamel stud earrings are complementary to the color blocking in 80s inspired earrings and the colors of gemstones. Enamel trendy stud earrings are a good compromise on both trends. You get the asymmetrical shapes of the 80s but with richer colors. Look for trendy stud earrings that combine gold and a bold color. Mixing different colored enamel is even better. Either pick up a pair of multicolored studs or mix and match on your own. 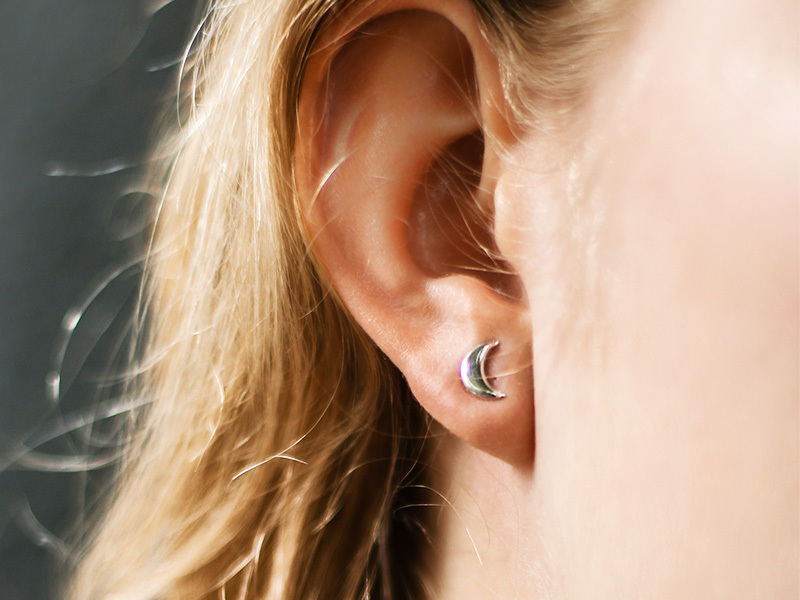 You can create an edgier look by wearing enamel studs in different colors and shapes from your lobe to your helix. We’ve been raving about the modern pearl jewelry trend for a while. 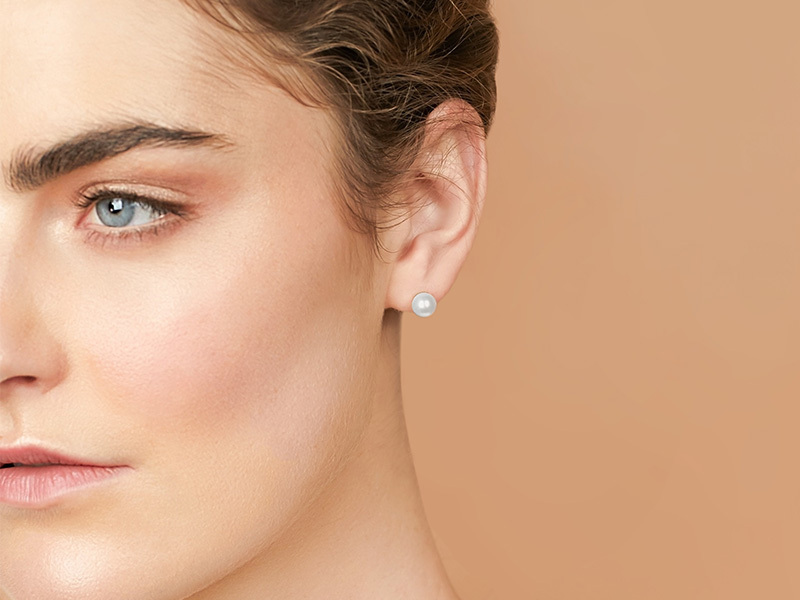 So, it only makes sense that pearls make it on our trendy stud earrings list. Just a freshener for everyone, we are not talking about your grandmother’s pearls. We are looking for an ultra-modern upgraded version. Go with the unexpected like the cheeky pearl cat earrings. Think pearls in multiple colors and sleek geometric lines. That’s it about trendy stud earrings. Of course, one important rule is that trendiness is also a matter of taste. So you can still wear your favorite minimal studs but maybe you can find a new trendy design that you want to add to your jewelry collection. And speaking of unique stud earrings, check out Ana Luisa’s collections. We feature exclusive jewelry designs that you cannot find elsewhere. Also, if you enjoyed reading this article, check out our other articles as well to discover more styling inspiration and jewelry knowledge. Get the best jewelry info from Ana Luisa.